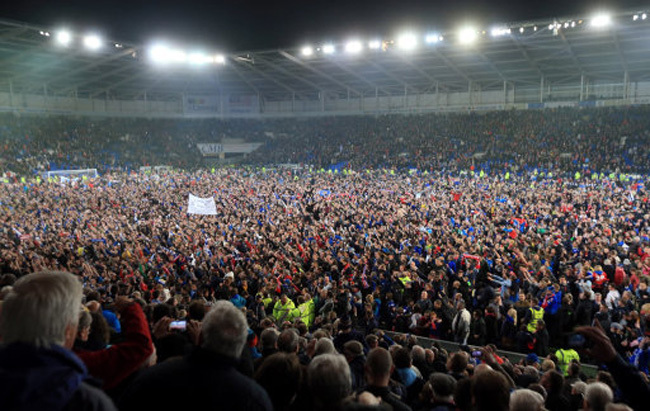 So next season we’ll have two Welsh sides in the Premier League, with Cardiff City deservedly securing their first ever place in the top division, where they’ll join Swanswa City, after a 0-0 draw at home to Charlton. Cue massive celebratory pitch invasion. Just shows you where a lot of hard work and, er, a Malaysian billionaire can get you. Expect to see Cardiff’s famous blue, I mean red, jerseys around Pies a lot more often next season. Cardiff was in “the top division” from 1921-29, from 52-57, and from 60-62, so it’s hardly “their first ever”. Unless you are one of the w****** of the Sky Sports mold, who discount everything before the PL-era, as though it never happened or mattered..